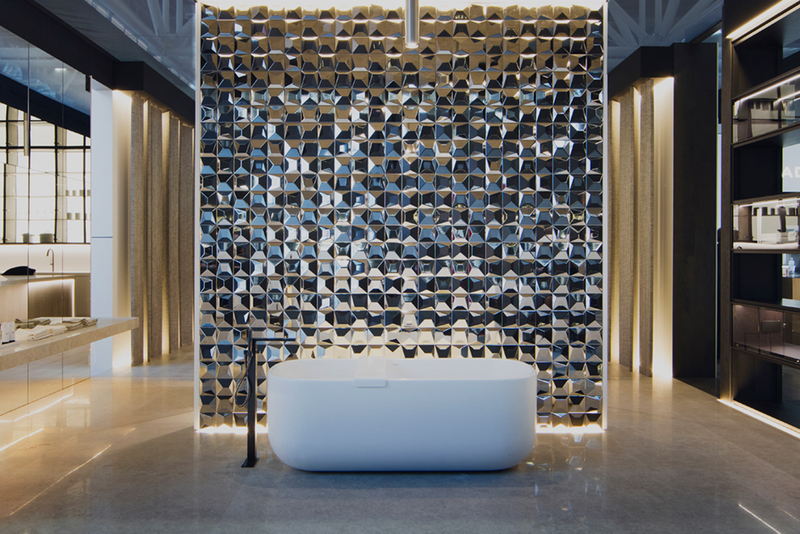 Metallic tiles have been used in interior design for many years and are great way to add a contemporary flair to any room. 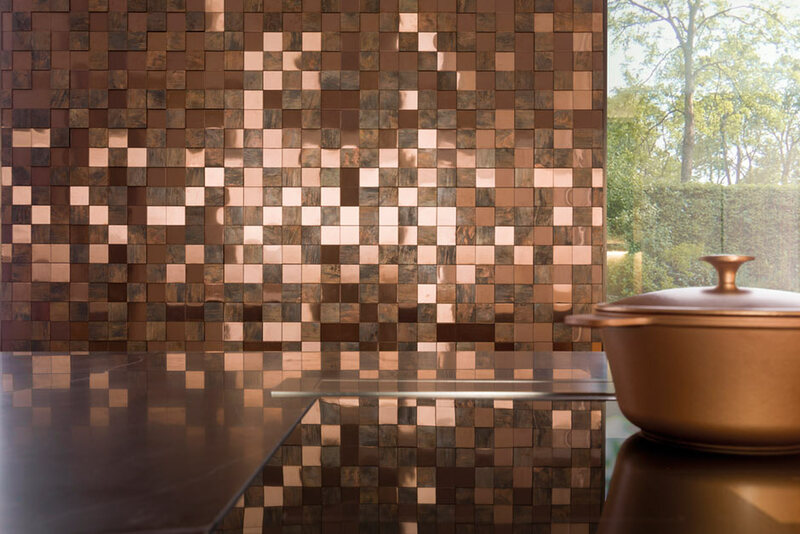 Whether you use a mosaic or a regular ceramic tile, the metallic look can turn any wall or floor into a work of art. 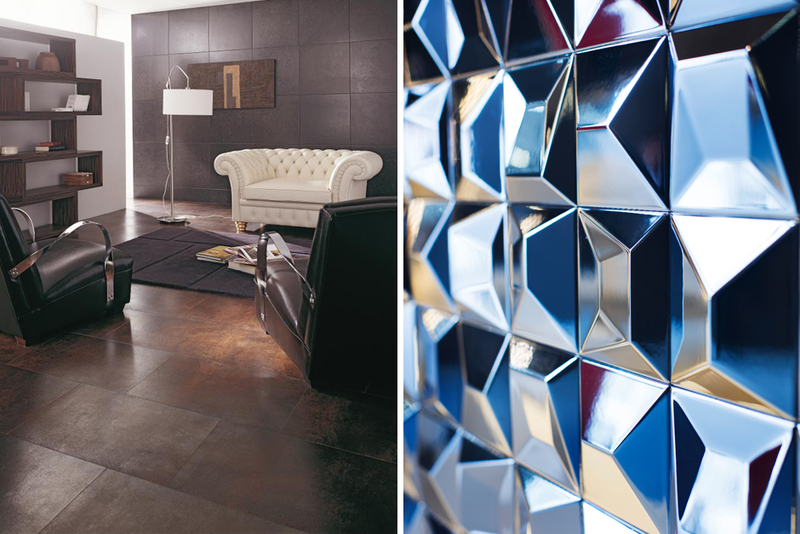 Metallic tiles are wall or floor tiles that are made to look like a metal, such as silver, copper or gold. 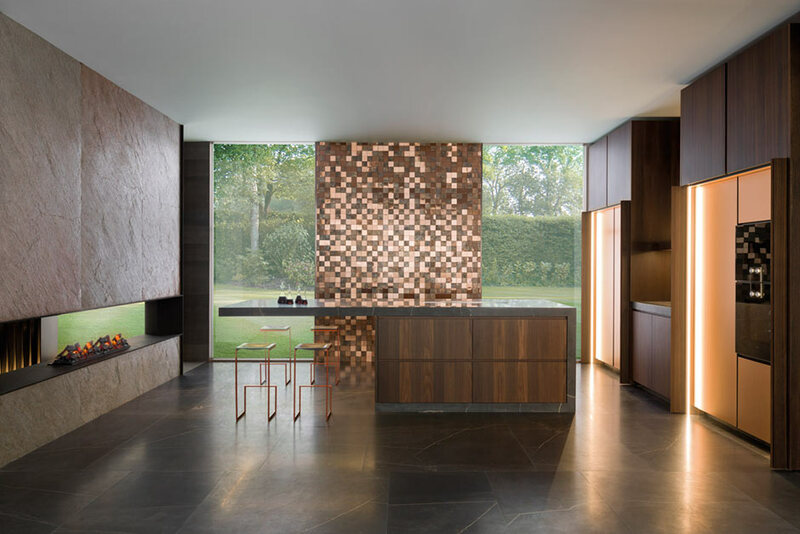 Porcelanosa offers an array of metallic style mosaics as well as ceramic tiles that can be used for accent walls, back-splashes and much more. Using our Advanced Product Search, you can now search for tiles and mosaics based on texture or material. 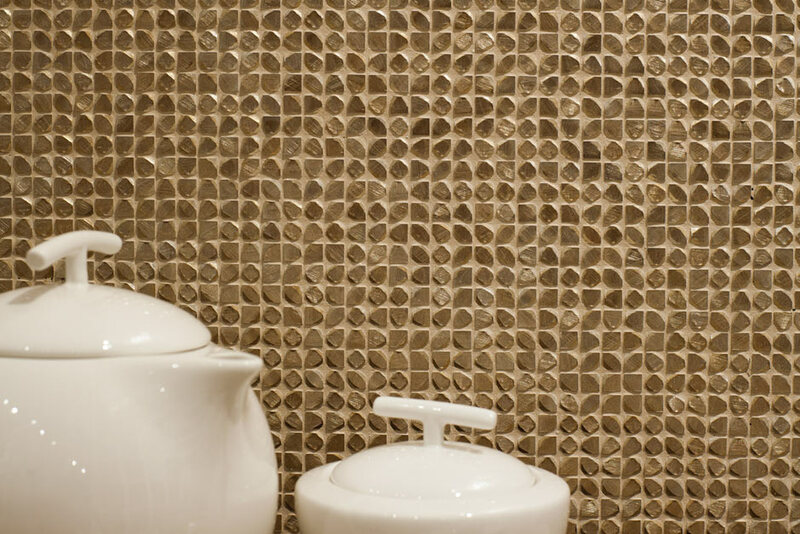 Metallic texture is an option that is available when searching for tiles. When searching for a metal mosaic, simply select “Metal” under the material filter. 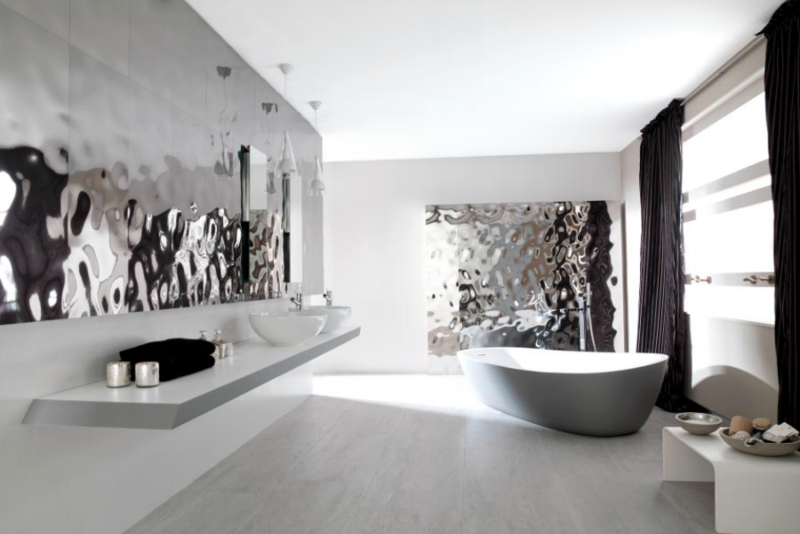 Below are several Porcelanosa products that can add a metallic look to any room. 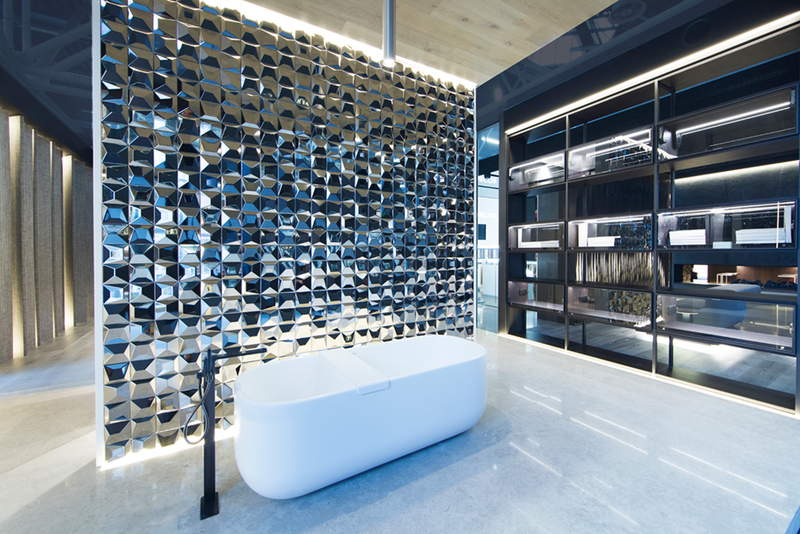 Porcelanosa’s new Spring collection will include some metallic style tiles and mosaics, including the Metal series and the Faces series. Check back to see the new collections!